Book now for Earth’s Edge talk on January 19th. 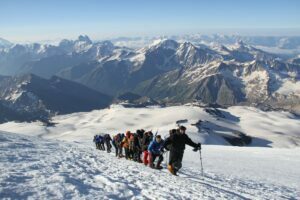 It’s all about their newest Mount Elbrus expedition. 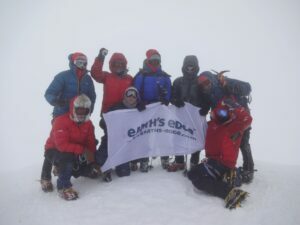 New for 2016 – Earth’s Edge have changed their Elbrus itinerary and are are now ascending Elbrus from the North side. This route is much harder with the 1,900m elevation gain on the summit day. Previous experience on mountains above 5,000m is a must. The route from the North side is a much more beautiful and less crowded route than the classic route on the south side.